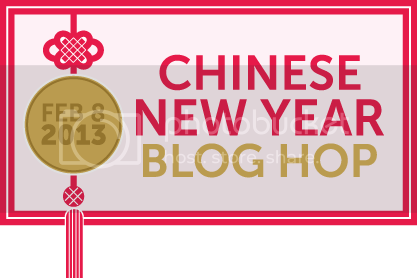 Welcome to the Chinese New Year Blog Hop! We are thrilled to have you join us. The Year of the Snake officially begins on Sunday, February 10th so be sure to wish all your Chinese friends longevity, happiness, wealth and good fortune during this two-week festival! Big thanks to Emily Leiphart for putting this hop together! I come from a very big family and every holiday is a little crazy. Chinese New Year is crazy x 10! We all travel to my parents in Brooklyn to celebrate -- there's lots of food, fun, chasing after the kids, laughing, and talking over everyone else. It gets rumbustious and loud! The married adults have to be armed with red envelopes filled with money for all the kids for luck. It's great having everyone home together. I am really looking forward to Sunday and hope the impending blizzard won't hamper our plans! So, we have a free digital stamp for you!!! Just right click and "save as" to download! Here's what I created with it.... a modern red envelope! I took some small circle stamps (found 2 sizes in Cup of Wishes) to create the gold coins/confetti/bokeh background-- any of that works, right? Slip a note or some cold hard lucky cash in the red envelope and you're good to go! Here's who you'll be hopping with this week for a chance to win one of five fabulous prizes worth $230! A Mama Elephant gift certificate is up for grabs as well! Celebrate with us by leaving a comment on all designer and artist/sponsor blogs! Pick up your free digis and cut files along the way and create something for a second chance to win. The next stop on the hop is Mary Johnson! If you create something for the Chinese New Year, please post your project using the InLinkz Tool below. Ooooh, I love your background! VERY cool money envie! Kryssi, your red envelope is perfect for the digi! Gorgeous background, too. I need to try that! Thank you so much for contributing your talent to this hop!! Great digi! Love your story, sounds like so much fun! Happy New Year. Thanks for the free digi and for sharing your traditions!!! I LOVE your card! The gold background is AWESOME, and the red envelope is so perfect!! Happy New Year! This image is perfect for red envelopes. Wonderful job!! Adorable card with the cool background. It's very interesting to read about Chinese traditions . Love the story with the wedding invitations. TFS! So beautiful Kryssi! Love the inky dots! Love the idea of creating your own red packet, Kryssi! Wishing you and your family "Gong Xi Fa Cai"! I love this! What a great card!! super card!!! LOVE the bokeh effect! and the free digi is just perfect!! thanks for the chance to win! Fab card, Kryssi! And wishing you and your family a very happy Chinese New year. May this Snake year brings you blessings & joy. Love your card! The gold coins/confetti background is so pretty with the vibrant envelop! Great card, thanks for the freebie! Pretty card and thanks for the image too! Your cards is so pretty. I think today is a perfect day for a blog hop. I'm sitting in Rhode Island waiting for Nemo to come on full force...so I'm hoping with you that everything is cleared up by Sunday and we can resume life. But for now...hopping is fun! I love your card and the digi is great. I can't wait to download it and play along. Thanks for sharing and Happy New Year to you and your family. awesome digi! thanks so much for sharing and sponsoring this amazing blog hop! Lovely card--the red envelope is perfect. so beautiful!!! love the envelope idea and the gold circles create SUCH a beautiful background! What a pretty card! The red and gold go so well together. Thanks for the freebie too! beautiful card. love the background stamping and red envelope. Really cute card. The digi is fabulous. Thank you so much! Very nice card...love how you used the digi. 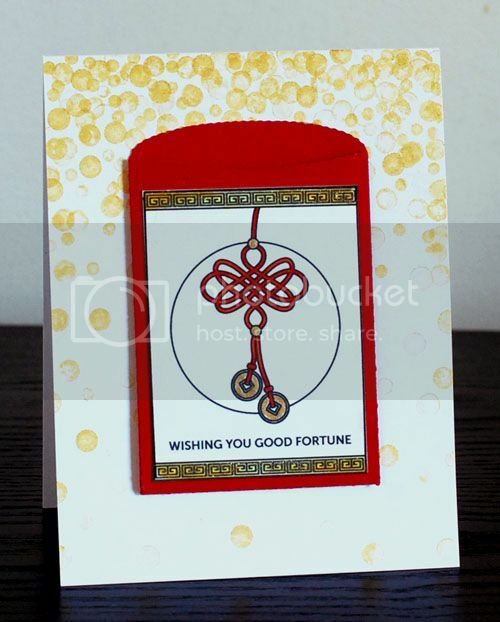 The red envelope looks really nice as a focal element on the the card. Love your lai see--what a great idea! And the golden background is gorgeous! Looks good. I didn't know it was the Chinese new year. where have I been? What a fun card! I love that you incorporated the red envelope! This is beautiful, and thank you so much for the free digi!!! I always love your stamps and designs! Happy Chinese New Year to you and yours! What a wonderful card. Happy new year to you too. Kryssi, love your fung pao! I remember when I was a kid, the main event would be receiving those fung pao and of course, that would determine how much I can spend on clothes right? Back home, it would be lots of food and taking a week off work for celebrating this special festival. From my family to yours, Kung Hee Fat Choy! This year is a special one since I was born in the year of the snake! Thank you for the digi too! I love the yellow details on top of the card! Beautiful!! Fabulous card - thanks for pointing out to use red - Happy New Year to you! HAPPY CHINESE NEW YEAR! Good Luck. Isn't it fun learning about other cultures. I love the card you made. I didn't know that red was good luck. I always thought it was a power color, so when I need someone to really listen to me, I wear red. LOL Thanks for a chance to win some goodies. red - thanks for the reminder - wonderful card. thanks for the digi and great idea! Thanks for the digi and the information. Great card. Great stuff! Thanks for the download! Great idea to use the red bag as a lucky envelope! Terrific image too, thanks! I'm back again. Thanks for contributing to such a great hop. That background is fantastic......just enough to make a point! Thanks for sharing. And thanks for the tip about the red color. I am going to make New Years favors for my Asian coworkers that celebrate, so good to know. Happy New Year! Love the envelope you made for this digi image! TFS! Thank you for the free digi! Love the background you made for this pretty dual purpose card! ;0) Wonderful job!! Your card is super cute and so appropriate for the New Year. Your card is beautiful~I love the background you created! Gorgeous card. Love the Rich feel and the background and the stamp too. Happy New Year!! Kryssi great card...Thank you for the image!!! thanks for the great printable! Beautiful creation...love gold and red...strong colours. This is so interestng and informing all at once! Love the red envelope. Have fun at your family gathering...it sounds like lots of fun. Thank you so much for this wonderful image. Love this digi stamp. the blizzard can't hamper your plans. Go Red! Gung Hay Fat Choy! Love your card! Me, my mom, and one of my nephews are all born under the year of the snake so can you imagine the excitement in our house tomorrow!!! Great digi and card! Interesting to know that red is Lucky. I wonder if that is how Valentines day started way back when. Someone wanted to get lucky! Such a great idea...Happy New Years. Great digi and fabulous card! Gung Hay Fat Choy! Thanks for the free digis and the card. love this image and your card! The lucky money envelope looks fabulous, and that bg is perfect! Thanks for the free digit stamp! Thanks for being part of the hop- I have really enjoyed it! Inspiring card, thank you for sharing! Very cool! Thanks for the digi and a chance to win amazing prizes! I'm loving learning even more about this holiday and culture! And this digi is brilliant, thank you. Love how you used it. Thanks so much!!! Thanks for the fun image. I can also use this for other occassions as well. 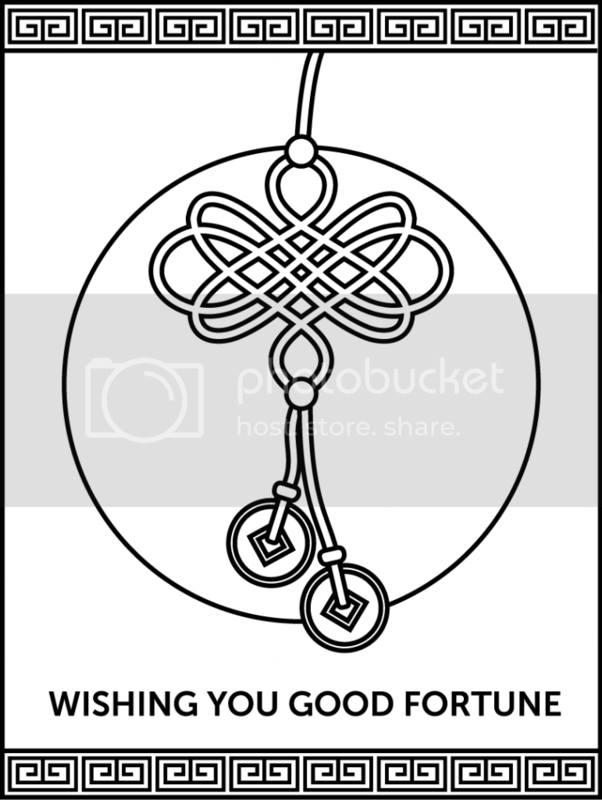 :) All the best in the year of the snake. Great digi and what a fabulous card! I love red so this really appeals to me! This is so nice! Can be both the red packet (ang pau) as well as card! Thanks for the great digi and the inspiration! Beautiful LUCKY RED card!! love ur creation! WOW! Great cards and great idea for a blog hop!! Happy New Year!! Thank you so much for the digi! Absolutely loved what you did! Love this especially that background!